The logistics of being a drummer can be challenging! There are always so many drums and pieces of hardware to transport. 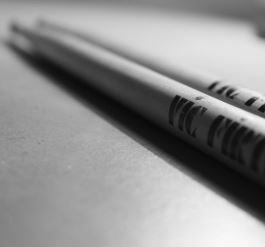 Oftentimes, some of the most important elements are lost or damaged: your drum sticks and drum keys! It’s worth investing in a good drum stick bag. It’s one thing less to stress about, and it makes it far easier to transport them around. Some stick bags can also be attached to a drum or piece of hardware, so that it doubles up as a drumstick holder, so that you can easily access your sticks during gigs. 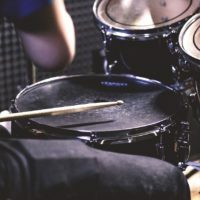 The best thing that you can do is to find a way to protect them, and you can start by checking the best drumstick bags in the further article! If you wish to find a drumstick bag that will provide you the possibility to use it for years after purchase, you should consider Andoer 600D water-resistant drumstick gig bag. It comes with soft-sided design, which is padded with 5 mm thick cotton that will protect sticks from bumps during carrying and transport. You can easily hang it on drums by using two inside straps so that you can take new sticks during the performance. You will get two separate compartments for storage in which the other is for belts, sheet music, and accessories that you require while the other one is for sticks. You can rest assured because the gripped handle will allow you to carry it around with ease. You will be able to place inside eight different sticks, which means that you can use it wherever you are without any additional hassle. The main disadvantage that you should remember is the lousy zipper on it, which looks cheap, so you have to be careful so that you can avoid breaking it. Finally, you can rest assured, because, with CUSTEAM drumsticks bag, you will be able to enjoy in full protection due to premium Oxford cloth that will provide you both water resistance and perfect stability. You will have plenty of room where you can place drumsticks as well as other accessories that you may need to take with yourself. You do not have to worry, because it comes with high-end parts and you will get floor tom nylon belt and hook so that you can place it on it during the performance. Mesh pocket inside is a versatile addition that will provide you the possibility to hold stationery items, which will increase the convenience of using it. It is quite portable, and you will get a shoulder belt for additional comfort so that you can carry it around with ease. It comes with two compartments for drumsticks, brushes, and mallets, and you can easily carry between four and six pairs of drumsticks, depending on the thickness you prefer. It comes with an affordable price tag, which is one of the reasons for its immersive popularity. Vic Firth provide fantastic drumming accessories. 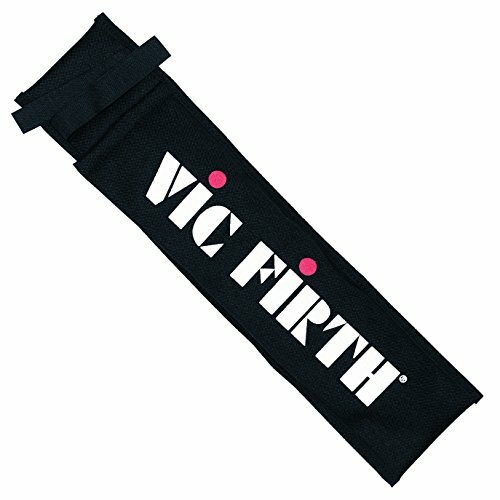 This Vic Firth drumstick bag an excellent choice that contains adjustable Velcro straps so that you can hold a pair of sticks for reserve during the performance. The best thing about it is that you will be able to access it with ease in case you need the extra stick. It comes with water-resistant nylon, which will increase its durability and ability to protect your bats during the tour. The main issue is that you will not get sticks within the package, and you will be able to carry only one pair, which is not convenient if you wish to use it for an extended time. However, you will be able to get it for an affordable price tag, which means that you do not have to spare an entire fortune to get it. 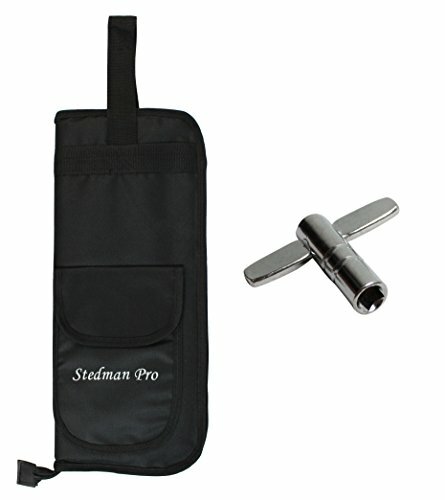 In overall, this particular drumstick bag is typical for people that are playing in marching bands, but you can also use it for a wide array of purposes. 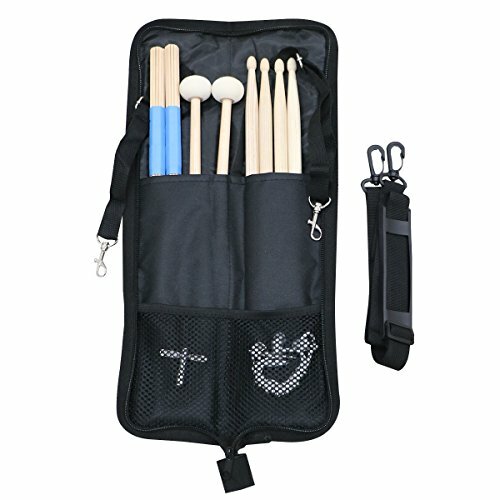 If you wish to find a durable drumstick case that will give you the ability to store up to 10 pairs of sticks, brushes, and mallets, you should consider YMC DSB10-BK best drumstick bag. It comes with extra durable nylon as well as 10 mm quality foam so that you can improve the protection. You do not have to worry because it comes with carrying handle as well as a front pouch and an oversized zipper that will allow you to use it with ease. 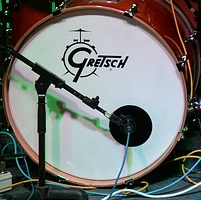 Due to three inner vertical pockets as well as mounting clips, you will be able to attach the bag onto a floor tom so that you can have it in front of you during the playing. You can choose a wide array of colors based on your preferences, and personal style and the most common ones are red, coffee, blue and black. You will not get pens and drumsticks within the package, and that is something you should remember. You do not have to worry, because finding the best drumstick bags is not that problematic if you know where to look. For instance, you have no doubt heard about TAMA and its drumming accessories that you can find on the market. 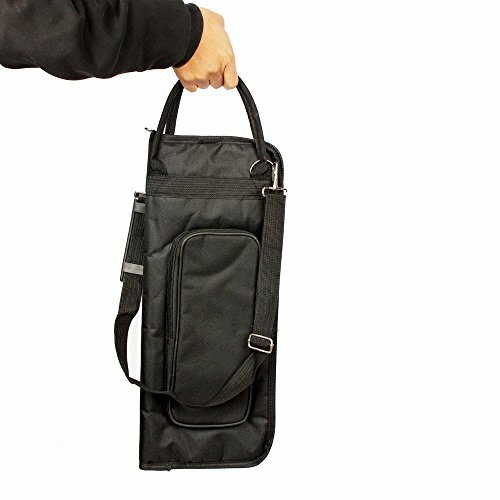 This particular drumstick bag can handle up to six pairs of mallets and sticks, which makes it convenient for gigs, especially if you wish to have a bag filled with sticks next to you during the performance. It comes with built-in rubber loops so that you can easily attach it on the floor tom, which will provide you peace of mind so that you can use it wherever you are. You can choose four different color choices based on your style and preferences. It comes with inner pockets in which you can place a wide array of drum accessories, which will make it more convenient for use than other bags that you can find on the market. 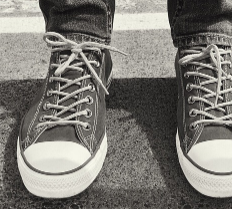 In overall, it is a decent choice that you should prepare for an affordable price tag. If you enjoy drumming or playing percussion, you probably understand how challenging it is to find an appropriate bag for your drumsticks. It is super important to make sure that you invest in a bag that will protect your drumsticks and provide you comfortable convenience. Type Of Bag – You can find a wide array of drumstick bags on the market, and different brands will provide you variations. 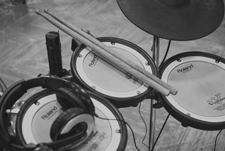 However, we differentiate two types: the first one is basic, and it is the most common choice that can hold up to five pairs of mallets, sticks and other percussion instruments. On the other hand, you can consider a concert drumstick bag, that will allow you to carry much more pairs, and it features designs for professional drummers. 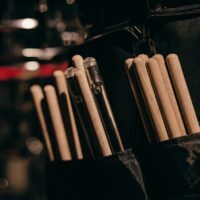 Drum Stick Capacity – We can all agree that drumstick capacity is one of the most important considerations when it comes to buying a new bag. The primary bag will provide you space for between five and 15 pairs. On the other hand, if you choose a concert bag, you will be able to carry up to 20 pairs based on the brand. Material – Material used is also an important consideration, and it depends from brand to brand. 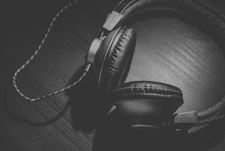 However, it is essential to feature that you have to check out before you make up your mind because the material will determine how long you will be able to use it. We have presented you with the best drumstick bags that you can find on the market in 2019. It is essential to understand that you buy a drumstick bag depend on your preferences, playing style and what you wish to do with it. However, it is essential to have it, and without it, you will only damage your sticks and lose them after gig or rehearsal. 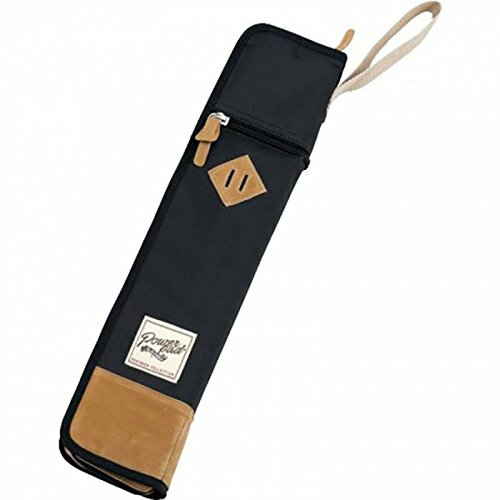 High-End Option – YMC DSB10-BK best drumstick bag is the best choice that you can find on this list due to its highest capacity, which means that you can place up to ten drumsticks and other accessories as well. 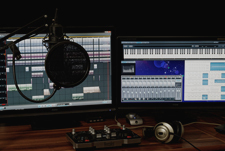 It is the perfect choice for both concert and rehearsals, which makes it convenient and you will be able to use it for years after purchase with proper care. Budget Option – Andoer 600D water-resistant drumstick gig bag is great because you will be able to get it for the affordable price tag, and still you will be able to carry up to five different pairs based on the thickness you prefer.